Yoga Nidra is designed to help you effortlessly relax, reduce stress & increase happiness in as little as 16 minutes a day! Yoga Nidra makes meditating simpler, easier, more effective and powerful. Yoga Nidra helps you release stress, while making you feel fully refreshed and completely relaxed. Yoga Nidra alters your brain chemistry to be more productive, focused, and creative. With Yoga Nidra you can fall asleep faster and have a better, deeper, and more peaceful sleep. With Yoga Nidra, you are just minutes away from experiencing deeper meditation. Yoga Nidra, the method of Conscious Sleep, is considered to be one of the deepest meditation techniques, leading you into a state of total stillness and insight. This ancient form of guided meditation has been proven effective to reduce stress, tension, anxiety, sleeplessness and many other psychological disorders. Yoga Nidra is a revolutionary way to cut out the resistance and mental chatter you experience when you sit down for meditation. Get acquainted with this and you’ll see how altering your brain-waves can instantly transport you into a magical state of deep relaxation. Yoga Nidra releases built up tension, stress and anxiety, providing a perfect self-development tool for the often fast-paced life of the modern world. Yoga Nidra is a powerful, scientific method, based on ancient Tantric texts, of complete mental, physical and emotional relaxation. Through the practice of Yoga Nidra your brain effortlessly transitions into an altered state of consciousness which helps you relax, focus, sleep better, and much more. 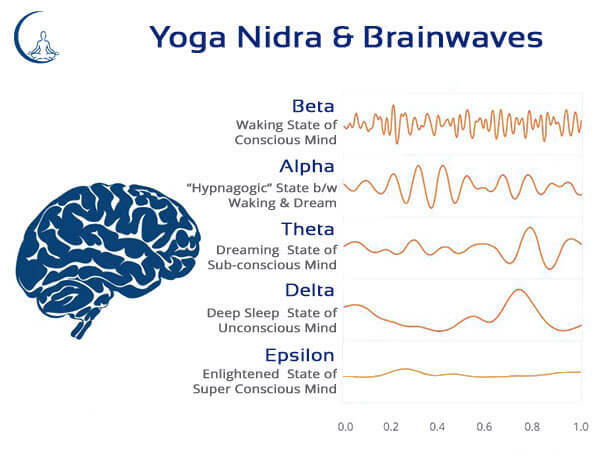 Yoga Nidra induces your brainwaves to transition from the waking state, through the “hypnagogic” state (between waking and dream), into dream and deep sleep states. This transition however, is not done unconsciously. Using the tool of Yoga Nidra the transition is done with full conscious awareness which allows the practitioner to access layers of the subconscious mind with clarity and mindfulness. This allows for the release of many negative patterns in the mind to unravel and ultimately dissolve. The actual practice of Yoga Nidra initially encourages prolonged “alpha wave” activity, which has been scientifically proven to induce deep relaxation, reduce stress, spark creativity and much more. Advanced practitioners can even access the “theta” and “delta” experiences with full consciousness, ultimately aiming for the super-conscious, enlightened experience of the “epsilon” state. Studies have show that meditation relaxes your muscles and calms your mind. Yoga Nidra enhances body/mind rejuvenation, and gives improved immunity to stress in everyday life. Effortlessly achieve the laser-like focus of deep meditators. In this heightened state of mind, you become more efficient and can accomplish more, in less time. With Yoga Nidra, you can experience refreshing, rejuvenating deep sleep. With this one simple change in your resting schedule, you’ll see immediate results. Scientific studies confirm that guided meditation has a powerful impact on every aspect of a person, from lowering blood pressure, to strengthening the immune system. Amplify your ability to tap into Inspiration. By connecting your conscious and subconscious mind, Yoga Nidra will help you unlock new ideas easier than ever before. Ready to Try Yoga Nidra?! Ready to Go Even Deeper?! 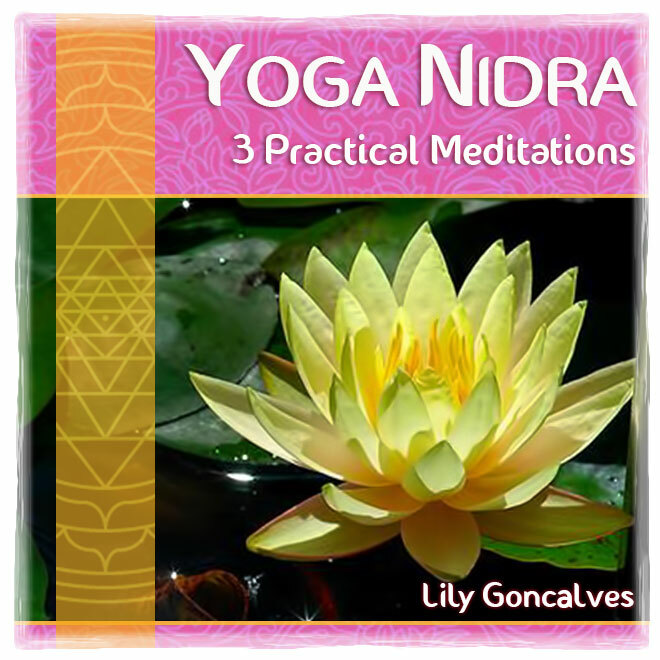 The Yoga Nidra Collection is a unique suite of guided meditation MP3’s engineered to effortlessly guide you into deep meditation. 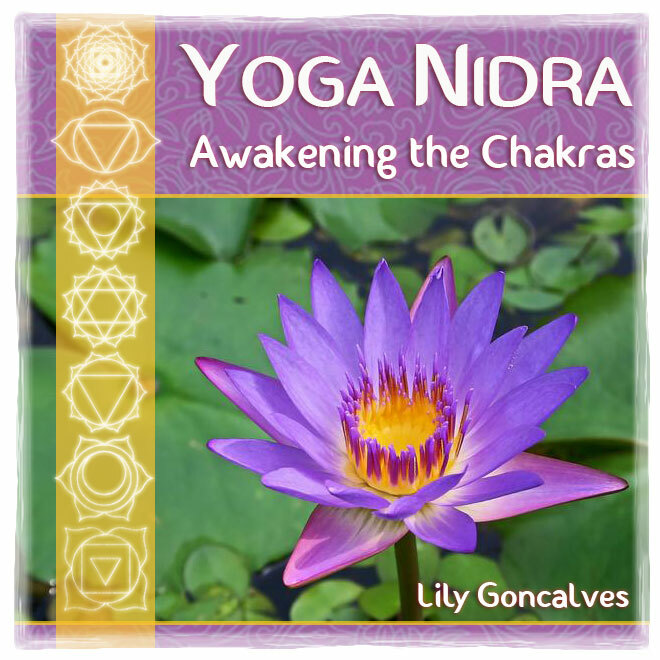 Developed by Lily Goncalves of Blooming Lotus Yoga, and based on the foundation of ancient yogic principles of self-transformation from the teachings of the Bihar School of India, these audio recordings offer an inner technology that help humans evolve towards their highest potential. The beauty of Yoga Nidra is that you can use these tracks to match your mood and balance the various needs of each day. It is designed to fit your schedule, no matter how busy you are. Whether you want to unwind from a long day, balance your chakras, access inner guidance, make better decisions, be more productive at work, or reflect on the spiritual side of life Yoga Nidra has it all. Yoga Nidra is like pressing a magic button inside your brain that instantly gives you relaxation, clarity and inner peace. Try to imagine the kind of impact this would have on your life? From improved relationships, better health, greater abundance, a more positive outlook on life, contributing more meaningfully to your community, greater efficiency in your work and even having more fun, Yoga Nidra can help you achieve all this and more! Enjoy the deep exploration of the frontiers of your own consciousness as Lily guides your awareness within. Each track is a complete practice in and of itself, offering you 3 different opportunities to experience your inner world. 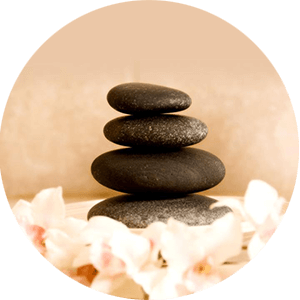 Specifically designed to therapeutically heal various health conditions, as well as balance the mind, these 3 sessions are essential self-healing tools. Learn how to open, balance and energize the chakras through Yoga Nidra. These two sessions, one short (25 minutes) and the other long (45 minutes), are specifically designed to access the subtle body and increase creativity, improve health and expand awareness. Using the symbols, sounds, and senses associated with each chakra, these sessions open the doors to physical rejuvenation, emotional balance, mental peace and spiritual renewal. Designed to awaken the inner wisdom of Pure Being through the direct method of Self-Inquiry, called Atma Vichara, these sessions facilitate the deepest release. By focusing on the source of the “I” thought, a deep inquiry into the root of the ego structure allows the sense of individual separation to dissolve and the pure Bliss of the Natural State to reveal itself. For those that wish to dive deeper within this Yoga Nidra session is truly transformative. Nearly 1 hour long, it facilitates the ultimate surrender into the silence of your true Being. It has the power to heal and release negative thoughts and emotions from subconscious patterning. Prepare to totally let go and surrender into stillness! These Yoga Nidra sessions are personal divination tools that helps you find the answers to all your are seeking. Empowering you to look within and opening the inner doors to your own natural wisdom, these sessions are perfect for developing inner clarity and realigning you to your life’s purpose. Simply listen, let go and let your heart guide you. 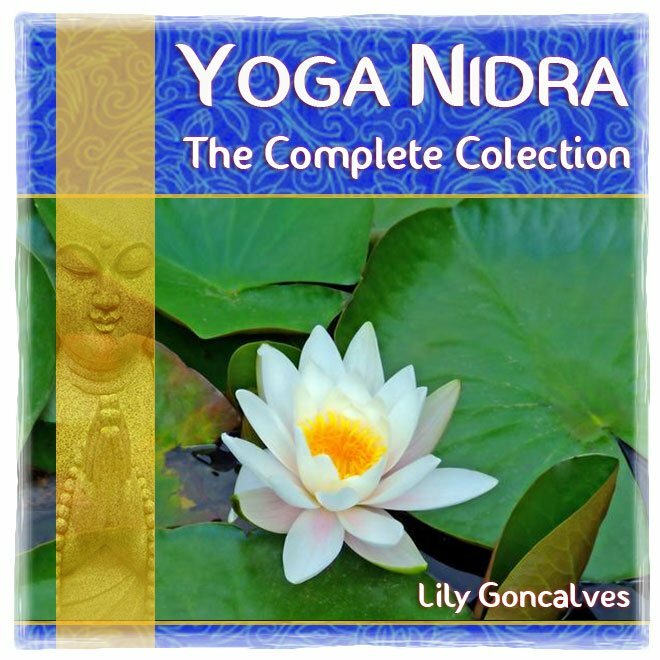 Receive our entire Yoga Nidra MP3 collection and dive into the depths of inner calm and stillness. This collection includes “3 Practical Meditations”, “Awakening the Chakras,” “Who Am I?” “Divine Guidance” and “Advanced Yoga Nidra”. That’s 10 unique sessions, each of various lengths, that will allow you to flow with the practice as time allows. "Several months ago I began to try Yoga Nidra and I really enjoy listening and working with yours. Your voice has so many positive qualities to it that come together to be just right... sincere... focused.... clear... and one can hear and feel a gentle quality with compassion and empathy. Thank you for sharing it with the vast field of possible people who might find it." "One time when I was doing the unwind mp3, I ended up with a physical manifestation of what felt like a heat rash all over. When I looked at my throat (where there is a potentially cancerous thyroid nodule), arms and legs, they were visibly red and itchy. I have been doing meditation for years on and off and have never had such a physical manifestation of a release. Thank You." "I would like to let you know that I found the yoga nidra powerful and I personally benefited so much from this type of meditation. The pace was perfect, enabling me to have awareness of only the present, be alert, but deeply relaxed - it felt wonderful." "My yoga teacher introduced us to yoga nidra during last weekend and I am finding your practice extremely helpful! I have never found shavasana as deep as what I get from following your guided practice. It has become a highlight of my evening practice! I haven't tried the yoga nidra for the chakras download yet but am looking forward to it this weekend (reserving it for a special time)." 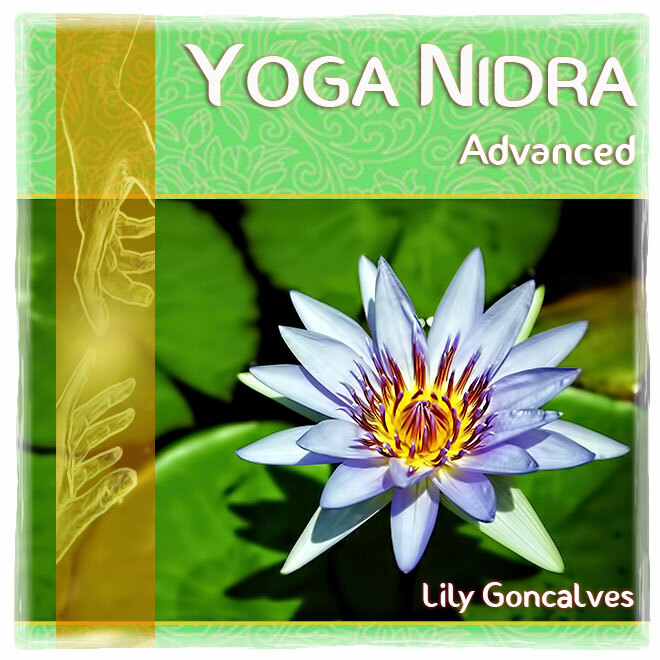 "Lily’s Yoga Nidra is a true gift! I feel blessed to have received it. Thank you!" "Thank you so much! I feel so relaxed already just from doing this one day. Looking forward to tomorrow." "Thank you so very much. I have listened to four of the recordings. They are wonderful. How fortunate I feel to have them. I found myself tapping into new levels of creativity, love and joy after listening to them. What a gift! Huge gratitude." "Thank you very much. I have ordered the collection! The yoga nidra practice is clear, precise, accessible, and very welcome. I had been practicing something similar, but find this gently goes very, very deep. My gratitude." 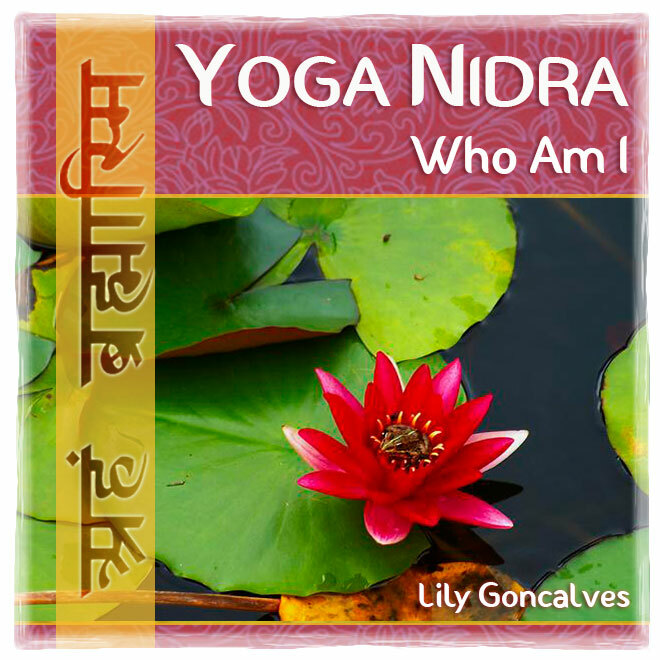 "Yoga Nidra has really lifted me and further inspired me in my yoga practice. I now practice yoga and meditation almost every day and I can't wait to see how my body and mind will open up over time because of that." "I still do your yoga nidra regularly and find so much peace with your voice. It takes me home again." "Just lovely. When in doubt, lay down and let this voice guide your mind." "Wow, just did it and I feel great. It was so relaxing and I am feeling like new! " "I feel SO good after that session, thank you." "LOVE her voice...it's so soothing I could listen to it all day." "My wife was really tense, this helped calm her. Thanks for making this... I am downloading the MP3 so we can practice together." "The nidra script of this video is ideal. Soft voice & perfect. I use it almost every day and I never bore of it. Thank you Lily." "I love your voice and this short yoga nidra is great for me. Namaste & Thank You." The Yoga Nidra Collection is helping people around the world find relief from stress and tension, amplify their energy, destroy negative habits & live with greater inner peace, clarity and compassion. Now it’s your turn…. We’re so confident in the power of Yoga Nidra and wish to have it reach as many people as possible that we even offer a 60 Day Money Back Guarantee. If for any reason you do not enjoy Yoga Nidra just email us and we will give you a no-questions-asked refund. Purchasing is completely risk-free! Who is Yoga Nidra good for and what conditions does it treat? Does Yoga Nidra help cure sleep disorders?! Yes. Though Yoga Nidra is ultimately a technique that focuses on maintaining mindfulness and awareness, in the beginning stages most people fall asleep during the sessions and experience a deep and profound sleep that helps heal both the body and mind. This deep sleep is natural and perfectly normal in the beginning stages or when energy levels are low, and can be used therapeutically for those that only wish to treat insomnia and other sleep disorders. As the practice of Yoga Nidra deepens through repetition, you will find that the deeper benefits of Yoga Didra occur when one remains fully awake throughout the practice. This allows the conscious mind to penetrate into the subconscious realms and simply witness the modifications of the mind with awareness and equanimity so that all attachment and aversion to what IS disappears. This state of heightened awareness, coupled with the equipoise of mind that Yoga Nidra promotes, ultimately helps elevate us the higher levels of spirituality where inner wisdom and compassion express themselves effortlessly. 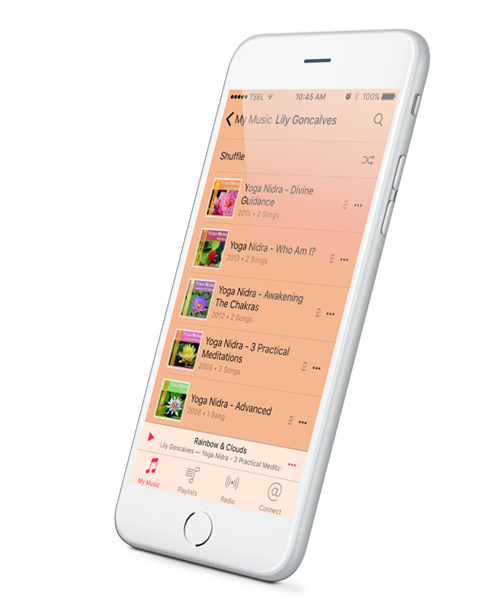 Can I play the Yoga Nidra MP3's on my device?! 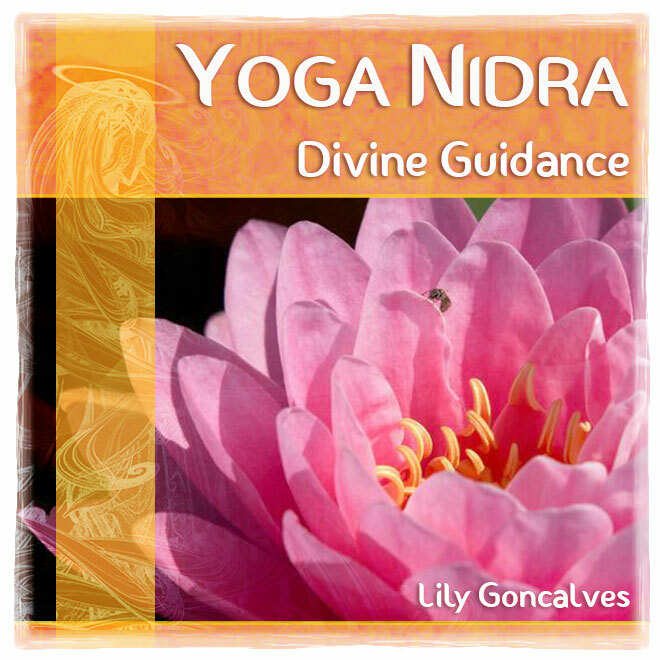 Upon checkout you will be directed to a page on our website where you can quickly and easily download your Yoga Nidra sessions as MP3 files. These files can be used on all desktops, laptops and mobile devices (including iPads, iPhones, and other smart phones). Simply download the tracks and play them on your favorite media player like iTunes, Windows Media Player, Quicktime, Real Player, etc. 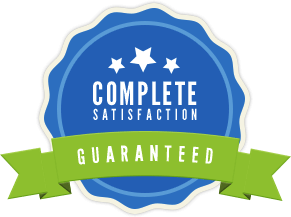 We offer a 60 Day Money Back Guarantee, so purchasing is risk-free!